I am not ready to put Valentine's Day stuff up right after I take Christmas down. I love looking forward to things, but I draw a line here! It's like Halloween, I just can't bust it out until the month has begun! I like to leave all of my white and silver stuff out during the month of January. 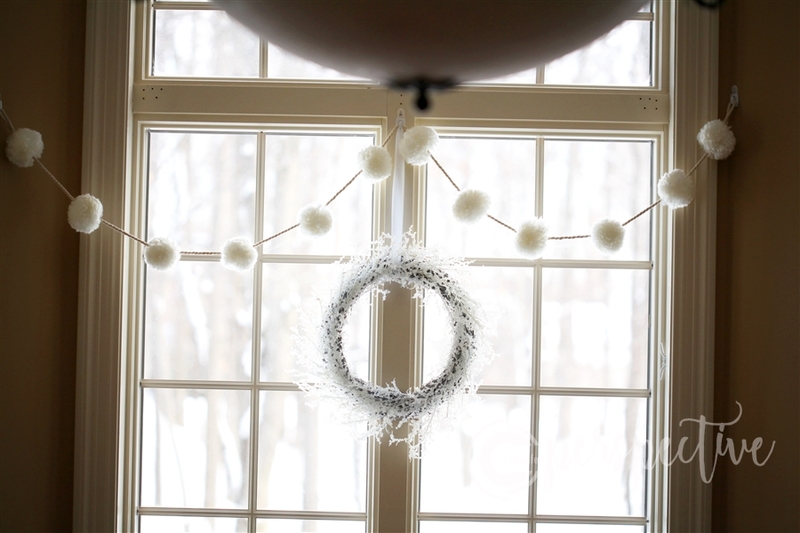 I totally decorate for winter! Why not? I've even made some winter specific crafts! It's really my excuse to hold onto the magic of Christmas just a little longer! 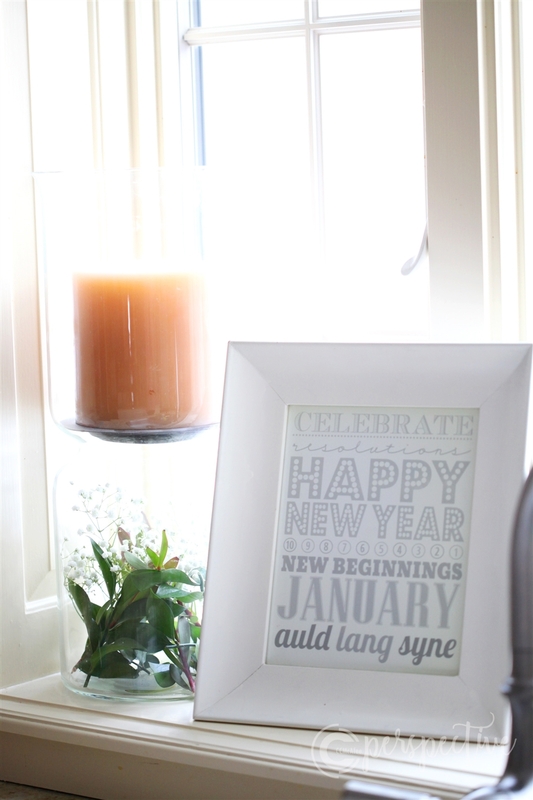 January is about fresh starts, new beginnings, making plans, snuggling with family, overcoming the challenge of winter, admiring it's mighty power and quiet beauty. It deserves some time, at least in my house! January is also my Q's birthday month, which means there is more decorating to do in a couple of weeks! This is just a decorating month for me! I'll leave winter up, add some birthday festivity, then take it all down to get ready for February. I wanted to share my winter kitchen with you today. 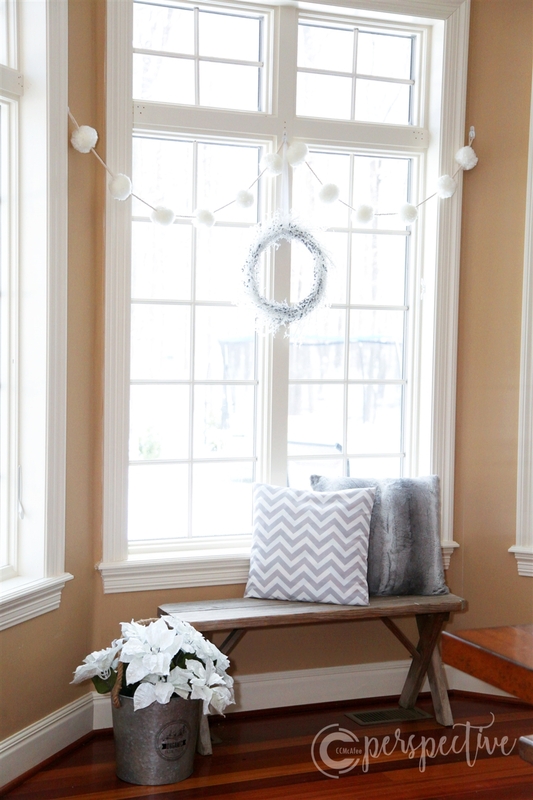 I'm sure you wouldn't want to get all of your Christmas decor back out, but maybe next year you can try it too! OR, I'm sure you could still find Christmas decor on clearance and just pick up a few things to decorate with! ;) An excuse to shop? What? You're welcome! Let's start in my kitchen window. I adore how large it is! On the bottom I have my white sparkly owl with these pretty silver bejeweled stems. (I just got these at JoAnn's recently) I also have my large glass candle holder filled with fresh greens and little white flowers. The printable is from Eighteen25. Up top I have a little chalkboard, from Michael's, that I wrote a quote on. It sits next to these little test tube vases I got last year when I went to Magnolia Market!!! They sit up there all year long (except Christmas). On the other side I put my original photography, these cute spools of white threads (TJMaxx) and a silver tree. 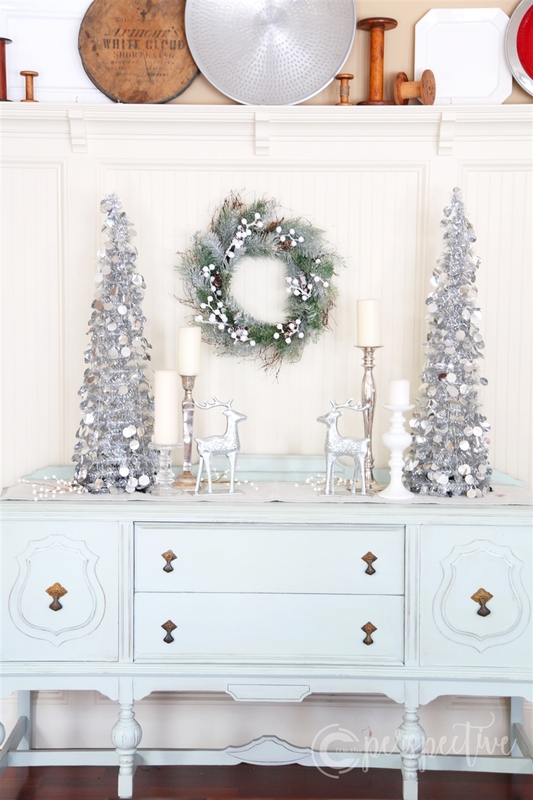 I have to show you what I did with these little silver trees! Don't know how I only thought of it this year! I'll post that next week. Over on the table I changed out my table runner and refilled my dough bowl with fresh greens and bitty white flowers (if you know the name of them, chime in!). I also added pine cones I painted as well as some snowflakes, both plastic and chipboard (chipboard are Heidi Swapp). I really want some chairs for here in my window, but until then... I left this bench from Christmas and added some pillows and white poinsettia's. I got this white wreath just recently and kept this single garland up. Last is my buffet. I really love this thing! It is the perfect color, it goes with all seasons! I added just white and silver to go with this wreath. It's actually my first time hanging a wreath right here! I like it! What about you? 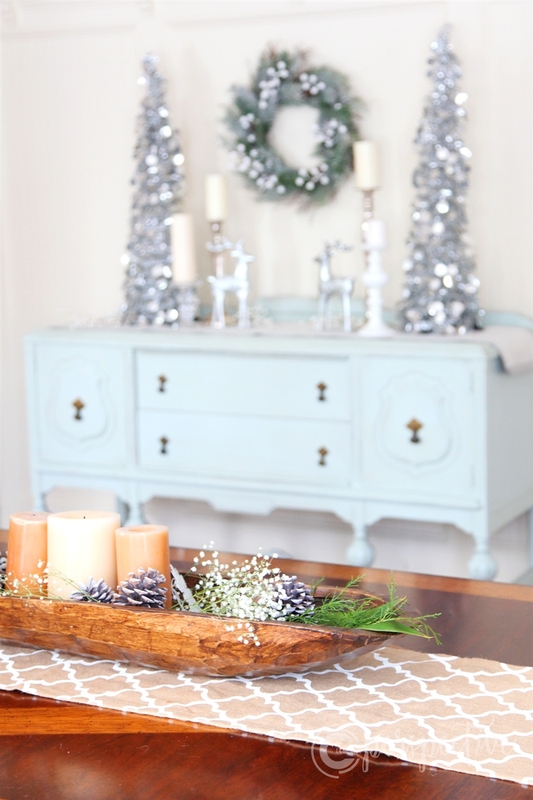 Do you decorate for winter or are you done, done after Christmas? Have I convinced you to try it??!! I'll share the rest next week! Happy Friday!